For those women who feel they have suffered physical harm from breast implants and posted toxic reviews on my website and attacked me personally, please believe that I understand your anger and frustration. I cannot imagine what it is like to be hurting and feel that your situation is not being taken seriously. I feel, however, that I have been targeted unfairly and I hope you will read on and allow me to defend myself and my practice. I have practiced medicine for nearly 36 years, both as a general surgeon and as a plastic surgeon. I have always tried to put my patient’s interests first and foremost. Have I always succeeded? No. I am not perfect and am not aware of any doctor who is. To say that I put profits before patients strikes at the heart of who I am and how I practice. I will not allow that accusation to go unanswered. Anyone who has come to me for a consultation for breast implants can testify to the truth of what I am about to say. I have never, NEVER glossed over or down played the risks of breast implants. My consultation for breast implant surgery (I am speaking now of cosmetic breast surgery, but the same goes for my consultation for patients seeking implants for reconstruction after breast cancer) takes from 45 minutes to 1 hour and this is all face to face time with me. I do not relegate this to a nurse or PA. I spend more time on the risks and potential dangers of implants than on any other part of the topic. I make it abundantly clear that there are unknowns regarding implants, as there are in most areas of medicine, but that I can only advise them based on current medical information. I specifically, and repeatedly, state that putting in breast implants is an unnatural thing to do and that unpredictable things can occur now or years down the road. I tell all patients that the only way to avoid the risks of implants is to not have them put in. I never talk women into having breast implants and, as far as I know, my unvarnished presentation about implants has not dissuaded any patients from having the surgery. I specifically discuss the hypothetical risk of illness from implants, however, I also state that this problem has to be very small. In 27 years of practice as a plastic surgeon, I seen all of the known problems with implants and, yes, I do have concerns about them, however, I have yet to see an instance of documented illness or immune disorder from breast implants in a patient of mine. I have had women come to me with a variety of complaints and concerns that their implants might be the cause. I tell them honestly that while that may be, there is no proof of this one way or another at this. I always offer to remove the implants (and capsules) but I make it clear that this will not guarantee that the problem(s) will go away. Most symptoms attributed to breast implants are non-specific and may have a variety of possible causes. I never underplay their concerns or simply blow them off, as I am accused of doing. Since the possible association of breast implants with development of a very rare cancer, large cell anaplastic lymphoma of the breast, was first reported in 2011, I have included this in my discussion of implants with all patients. At present, somewhere around 250 women worldwide, out of over 10 million implant patients have been found to have this cancer. It appears to be linked only to textured implants. I have preferentially used smooth saline implants for my cosmetic breast patients for years because I feel they are a slightly safer option in the event of a leak. Knowing that no implant is perfect, I have always strived to find that balance between cost, safety, and good results for my patients. I believe that I have largely succeeded. 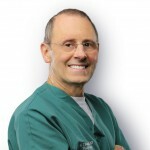 Over 27 years I have worked very hard to build up a reputation for honesty and integrity as well as excellent service to my patients, regardless of what they come to see me for. Since the inception of my practice I have always recommended that my breast implant patients return to see me periodically for a breast implant checkup and so that I can update them on any new information related to implants. I suggest every other year as a reasonable and not-to-onerous schedule and I make it clear that there will never be a charge to patients for this service, so that the cost will not be a factor. I encourage them to come in for any problems or concerns, again without cost to them. For years my office maintained a “tickler” file of my implant patients so that we could send them a postcard reminder every other year for this visit. I finally quit doing that. Why? Because fewer than 5% of my patients ever took me up on this offer and it was a waste of my office staff’s time. Anyone willing to give me even a smidge of benefit of their doubt can go to my blog on our website and look up my post of April 5, 2012: An on-line consultation for breast augmentation. It needs a bit of updating but I stand behind everything in it and I defy anyone to read this and still accuse me of trying to force toxic implants on unsuspecting women for profit. I take my position as a trusted medical advocate for my patients very seriously. I do take issue with websites, such as www.healingbreastimplantillness.com, for promoting an atmosphere of fear and spreading misinformation. The statement that all women will eventually become ill from their implants is patently false, needlessly scares women, and pushes some to seek out care from surgeons who are there to cash in on that fear. If this is so common, why haven’t I seen more of it in 27 years of practice? I don’t believe my patients are purposely hiding this from me and I am certainly not turning a blind eye to any complaints. I have no stock in implant companies and implant surgery is not a large part of my practice. Furthermore, fees of $10,000 to remove implants are outrageous and indefensible. The site promotes “explant” surgeons whose practices clearly do a lot more cosmetic breast augmentation than they do explants. I was able to get on their list of recommended explant surgeons with no vetting of my qualifications. While the site may provide a service in offering support to women who feel their implants have made them ill, it does a grave disservice in promoting conspiracy theories, unsubstantiated allegations, and non-factual statements. In closing, I have a wife, daughters, sisters, nieces, and many female friends, not to mention the fact that most of my patients are women. To accuse me of purposefully harming women to line my pocket is an insult and just plain wrong. To post such negative reviews without knowing more about me is grossly unfair and mean spirited.